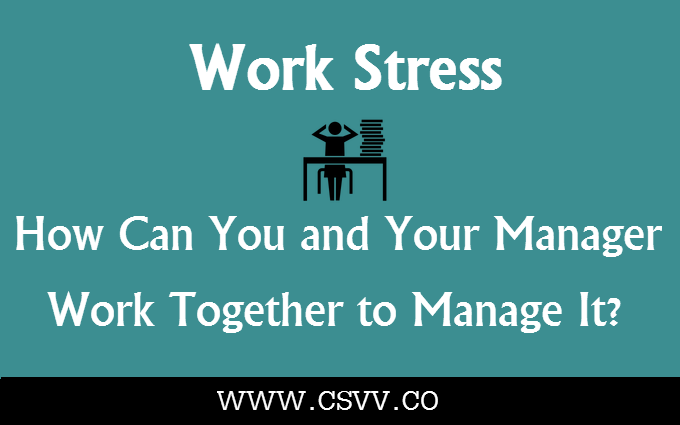 Work Stress: How Can You and Your Manager Work Together to Manage It? Pile of unanswered emails, desk phone ringing constantly, important presentation to go, and a manager who is too demanding! Does this sound familiar? If not exactly the same, most of us have been through similar situations. Work stress is an integral part of almost any job now. And while we are trying to race against time to manage our work and personal life, stress surely takes a toll on health. Most of us believe in a myth that stress only affects us mentally and some distractions can ease the stressful situation. However, this is not true. Experts suggest that 7 workplace stressors that are secretly impairing your health. When we are under too much stress, the body releases a hormone called “cortisol”. The stress hormone cortisol can actually motivate you to perform better and be alert, which is good. You might have witnessed a “good stress” while appearing for an interview or examination. However, when you are under constant stress at work, the level of cortisol rises to undesired levels in the body. This surely isn’t good for you. A high level of cortisol is associated with increased heart rate, blood pressure and even stroke. Recently, a team of researchers found that people with high stress jobs show a significantly higher risk of suffering from brain stroke as compared to those with low stress jobs. This makes one wonder, is it really the job position or inability to handle stress? Although it is true that high job stress is associated with poor health, many people working on top positions report being healthy and stress-free. This is because they know how to cope with work stress using healthy ways. So, take a deep breath as you proceed to read on how work stress affects your mental and physical health. An informative info graphic given here explains in details how stress affects your health, major work stressors that put your health at risk, and most importantly some healthy ways to manage your stress. SolVibrations is a multi-author self improvement blog, aiming to inspire creativity within. Want an author box like this? Visit our Write For Us page and choose a guest posting option.